With the promising economic outlook for the field of project management, a growing number of people makes actively pursue a project manager career. Universities and colleges answer to this development with a growing number of degree programs and other institutions provide certificate courses and workshops. Find out more about the different roles available in project management and some tips to help you navigate your own career path. The project management career path is not necessarily a straight one. In fact, if you ask one of the professionals who work in the field of project management today how they came to be working in their current field, they will often tell you that it was accidentally. They were in the right place at the right time when a manager for a project was needed and nobody else in the company was available for the job. A great number of young project management professionals today have taken a degree in project management and already have a good idea about the kind of projects they would like to work on. 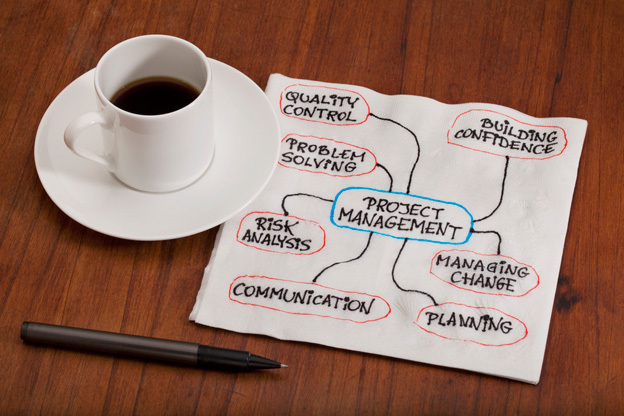 Despite the increased number of specialized degrees, the field of project management is still very open to those who haven’t got a degree related to project management. Project managers have place in virtually every industry. This allows for a unique career mobility and ensures that they can find work even if one industry is affected by economic downturns or cyclical demand. The skills that are required of a good project manager are the same in any industry. If you enjoy all that is related to hands on management and the delivery of a project you are a great project manager candidate. The project management responsibilities include developing the project plan, tracking the project’s progress, and managing the team’s performance of project tasks. You will also be responsible for reporting the project status and maintaining the communication with all project stakeholders. This also requires managing the project related risks and in some cases you will be required to escalate issues that cannot be resolved within the team. In short, it will be your duty to ensure that projects are delivered on schedule, within scope and budget. At the top of a project manager’s desired skills list are administrative skills. The project manager has to ensure that all project tasks are thoroughly defined, the right people are assigned the job for which they best qualify and if something goes wrong, the project manager has to ensure the whole undertaking is put back on track. The project manager role is one of the most challenging available within the project team. As the project progresses, project managers must adapt themselves to the changing requirements of the team and tasks in every phase of the project life cycle. First and foremost, project management is team effort. Therefore, a great project manager is a good team player and additionally, has the ability to lead the team in the direction that is required for achieving project goals. Project managers will often have to act within a matrix organization in which their team members have duties outside the project they are assigned to. A strong leadership personality therefore is essential in such a position. A good project manager is a good estimator. Most projects will not have the luxury of a bulletproof project plan right from the start and project managers will have to deal with a lot of uncertainties. This is why having good estimates regarding time, cost and effort are all the more essential for successful project delivery. One of the most important yet undervalued project manager skills is the ability to think outside the box. Often times project managers will experience issues with few if none precedent. Without having a project cookbook that holds a recipe for how to resolve an unexpected obstacle. In such cases being an innovator is essential for the most capable project manager. Dream Job Project Manager - The Skills it Takes to be Successful - InLoox • Copyright 1999-2019 © InLoox, Inc. All rights reserved.